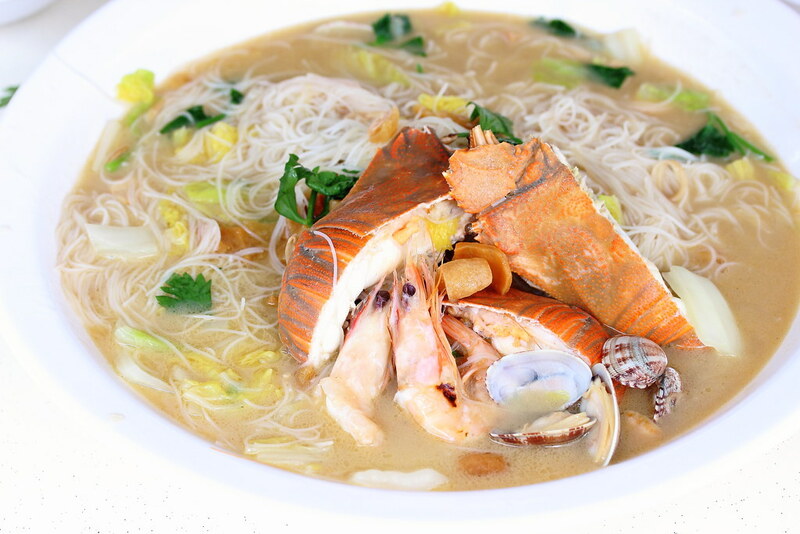 The latest trend in the food scene has to be Seafood White Beehoon. Within this year, many such stalls have opened around the island at various corner of Singapore. 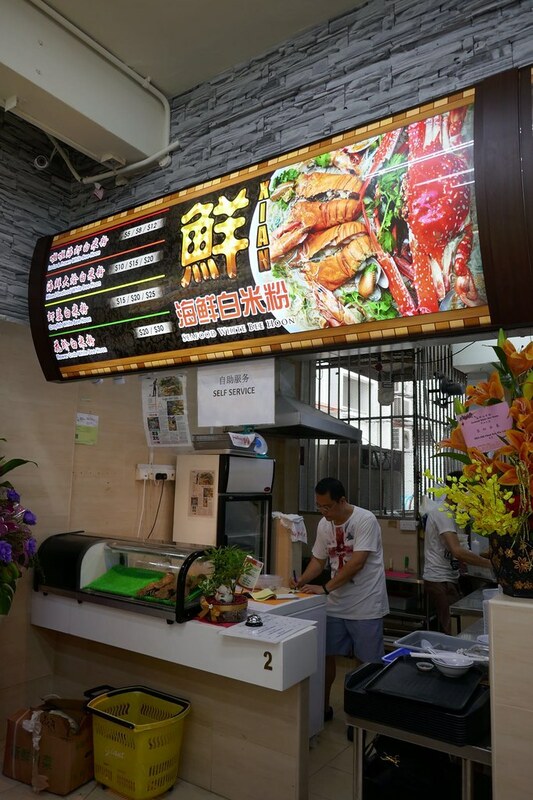 One of the latest such stalls is Xian (鲜) Seafood White Beehoon at Ubi Ave 1, opened by owner of Cafe de Hong Kong, Mr Francis Mak and his two partners. 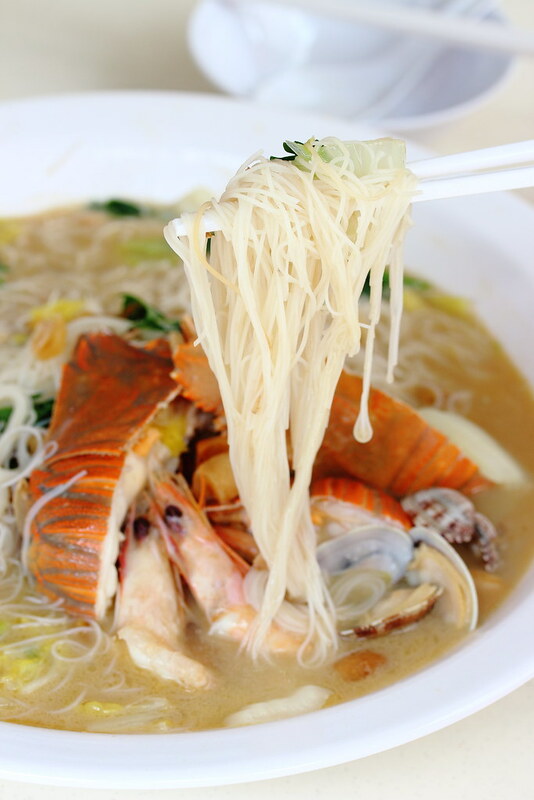 Unlike Cafe de Hong Kong where owner Mr Francis Mak offers an array of cooked dishes, XIAN offers only one dish on the menu, the seafood white beehoon. Well actually you have 4 choices. There are La La Shrimp White Beehoon ($5/$8/$12), Mixed Seafood White Beehoon ($10/$15/$20), Crayfish White Beehoon ($15/$20/$25) and Flower Crab White Beehoon ($20/$30). We had the Crayfish White Beehoon ($15/$20/$25) which is cooked in a superior stock that consists of chicken feet, old mother hen and pork ribs. You will get hint of smokiness from the silky beehoon because it is fried separately first to get that wok hei. 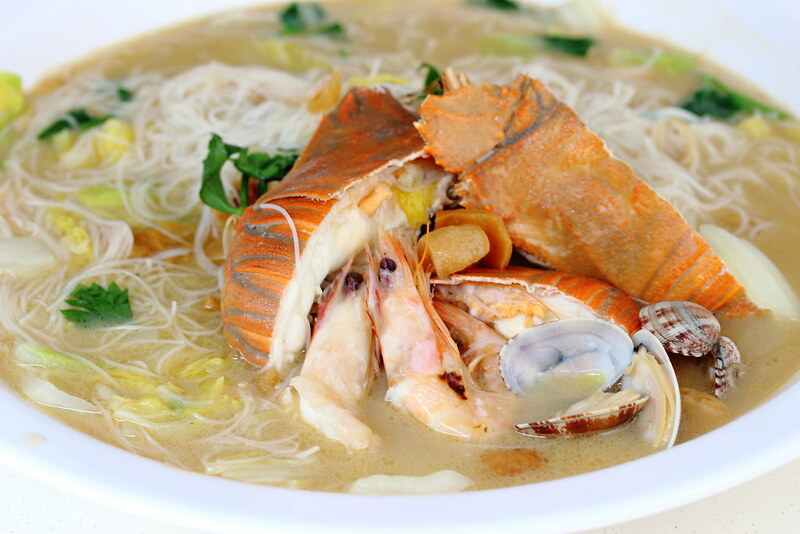 Upon ordering, the cook will then cook the beehoon and seafood together in the milky stock. 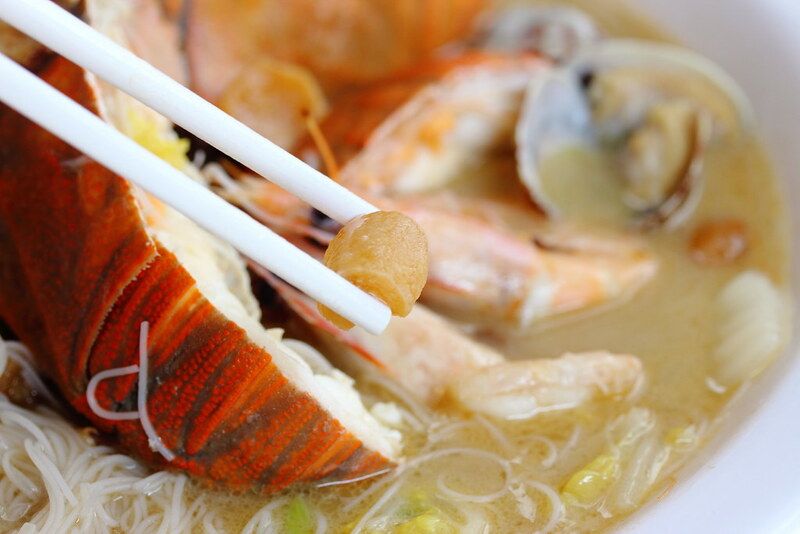 Besides the silky white beehoon, it also comes with crayfish, prawns and clams swimming in the delicious broth packed with seafood essence. And look what I discovered in the broth, pork lard! No wonder it was so delicious. Although I have not tried all the various seafood white beehoon stalls around Singapore, XIAN is definitely one of the stalls that I will go back again for its fresh seafood, smooth beehoon and most important that robust seafood stock that brings the dish together.